While I’m working on trying to drop weight from my hiking kit I am finding that I won’t sacrifice usability just to save a few grams. The GSI Trowel falls into that category and has now become my ‘Goldilocks’ trowel; not to heavy, not to light, just right. In doing this review I scoured my house for my two year old trowel (I know it’s here somewhere) but I just couldn’t find it so given the minimal price I shelled out for a new one. 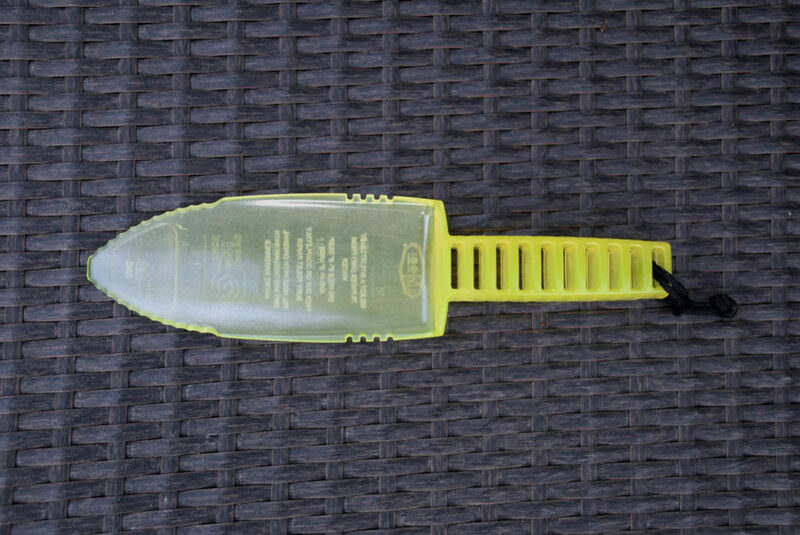 This trowel is made from recycled polycarbonate and weighs in at 84 grams (including the lanyard) which is nowhere near as light at the recently reviewed Deuce Trowel. It is however the most functional and comfortable trowel I have used over the past few years. Now I mentioned the little lanyard and this is an important feature as I clip a small carabiner on the lanyard which then hangs off my pack. I’m not a fan of having loose things flapping about so I will then tuck this trowel into the external stretch pocket of the pack. 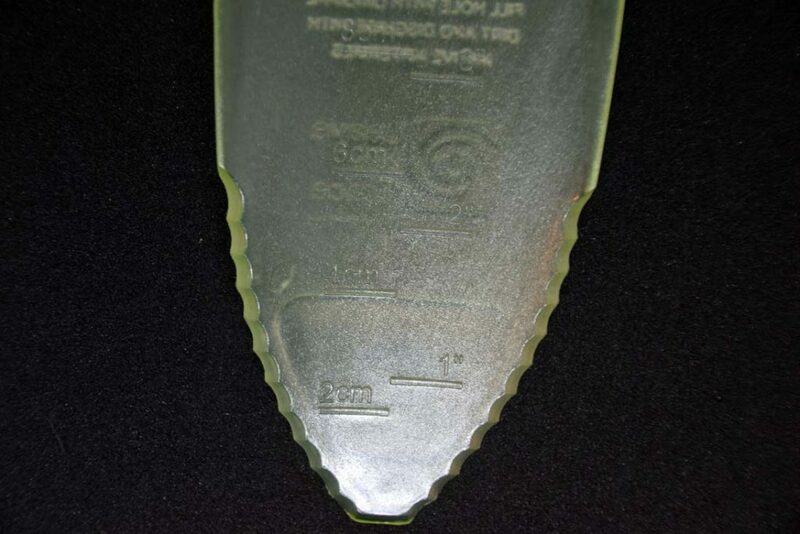 My original trowel is black however you will usually see this advertised as ‘various colours’ so my new unit which turned up in the mail is a transparent yellow colour. Now for the reasons that I love this so much. Unlike the ultralight trowels the handle on the GSI Cathole Trowel is very comfortable, particularly for my larger hands. This was also the trowel that we took on the Larapinta Trail and while it still took anywhere up to 20 minutes to dig a cathole due to the extremely rocky soil at no stage did it feel like I was going to break it. As a couple we now take two trowels on any trip; the GSI Cathole Trowel and for number two (pun intended) we bring along a Deuce Trowel. 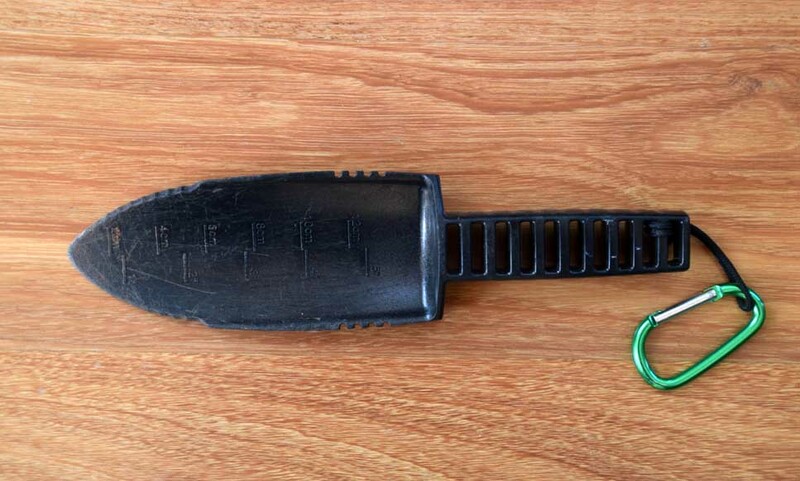 Unless I know the soil will be friable and easy to dig into my first choice will always be the GSI Cathole Trowel. Will cope with rocky soils without breaking or bending.